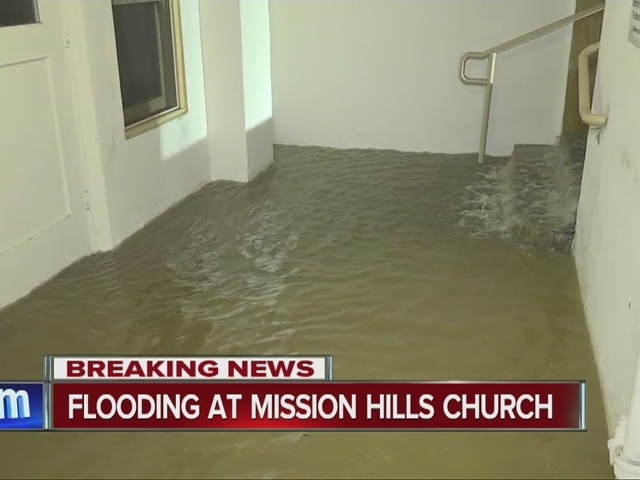 SAN DIEGO – Water poured into a Mission Hills church after a water main break Monday morning. According to a San Diego Public Utilities spokesperson, a 12-inch cement water main burst at 5:07 a.m. at the intersection of Lark Street and Fort Stockton Drive. It buckled the roadway and sent thousands of gallons of water gushing into the basement of the Mission Hills United Methodist Church. City crews responded and had the water shut down at 6:20 a.m. The muddy intersection remained closed as of 8 a.m. The property manager for the church told 10News there was one to three inches of standing water in the basement, which had just been recently renovated. Cleanup was underway in coordination with the city public utilities department. No nearby homes sustained water damage. Six homes in the immediate area were without water service. The repairs were expected to be complete and service restored by 6 p.m.